"There's so much room for activities!" Our Classic Guest Rooms provide all the space for two people to enjoy comfortably or if you're a lavish lone skier, you will find plenty of room to sprawl out and make yourself at home. Picture a comfortable hotel room with approximately 290 square feet and a full bathroom, and you've pretty much got us figured out. Our Classic Guest Rooms come with either one king bed or two double beds and enough storage space for a couple or a small family. 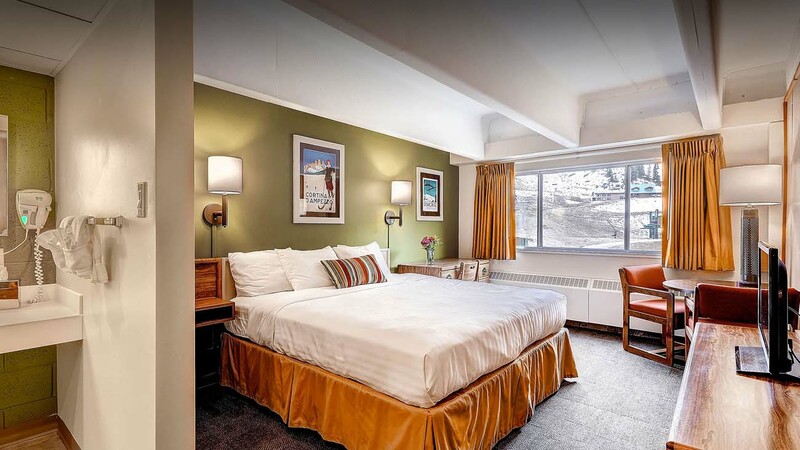 With your meals served at the restaurant down the hall and the lifts just outside the building, you may find that a guest room at the Goldminer's is perfect for your dream ski vacation.